More than a year without a vlog? For shame. But behold, the elusive V in her native habitat. The Journey to A Darker Shade of Magic. You guys, the time has finally arrived. A DARKER SHADE OF MAGIC–my 8th novel, and the first in a brand new fantasy series with Tor–hits shelves this week. I vividly remember pacing my front yard in the snow more than two years ago, telling my beta reader about this idea I had. It wasn’t even an idea. It was just a moment, a collision between two characters in an alley. That moment would go on to spawn four Londons, a system of magic, and a cast of strange, powerful, and ambitious deviants, and is Part V, Chapter V in the finished book. I remember several months later, driving through Texas with Carrie Ryan and Beth Revis, telling them about this crazy idea I was working on, my first ever crack at full-on fantasy. I remember sitting in a car in the middle of nowhere, telling my agent the project was broken, and that I didn’t know if I could fix it, let alone turn it in to my editor. I remember my agent convincing me that it wasn’t broken, that the pitch alone still gave her chills, and that she would pry it from my fingers if she had to. I remember her telling my editor was brilliant, and that together we would make it everything it needed to be. And she was right. I remember late-night emails with my intrepid editor, talking through everything from world-building to weapons, coats to invented languages. Last minute tweaks and changes, cover ideas and final art, and picking the knives at the top of each chapter. I remember reading the book for the final time and realizing that I was reading it as a reader, not the writer, and knowing that it was ready to go to print. I remember that shift from uncertainty to excitement. So far, each of these moments has belonged to me, but now the book, and its future, belongs to you. This book, as the dedication says, is for the one who dream of stranger worlds. If you’re looking for ways to support a book as it makes its way into the world, there are several things you can do. –Obviously, if you’re able, you can buy it. This is the surest way to support a book, and an AUTHOR. –Once you’ve read it, please consider leaving a review online, at B+N, Amazon, GR, etc. This is one of the easiest ways to make an impact, and it really does matter. –Make sure your local store and library has it in! You can always ask, and you can request it. –Talk it up to your friends, your family, your school, your workplace. Basically run through the streets shouting its name like a lost pet. –If you love the book, check out the author’s backlist. If ADSOM if your first read of mine, check out VICIOUS, which just came out in paperback. –If you love a book, spread the word online. Twitter. Tumblr. Instagram. Youtube. Interest and passion are contagious. –A fun fact: there’s this theory called the 5 Touch Rule, which basically suggests that as consumers we interact with a product 5 times before purchasing it. I’m a firm believer in this when it comes to books. If you can be one of those touches, please do. Announcing the DIGITAL LONDONS tour!!! In A Darker Shade of Magic (which comes out on February 24th!!) 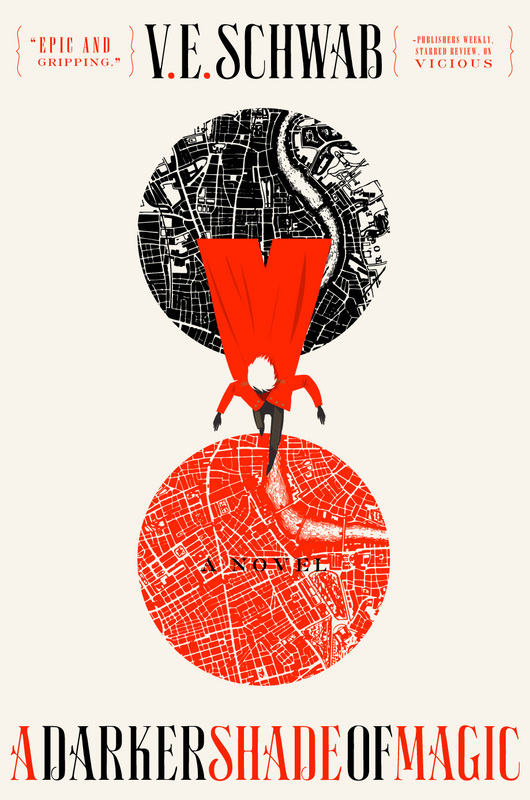 my heroes, Kell and Lila, flit through magical doors to visit three very different versions of London: There’s Red London, which flourishes with life and magic; Grey London, which has no magic but one very mad King; and White London, where people fight to control magic and the magic fights back. While each of these three cities if full of its own twists, turns, and secrets—they are also full of blogs! Yes, each city is home to some very special blogs and I’ll be embarking on a whirlwind tour through all of them starting on February 17th. And since, as Kell and Lila learn, it’s dangerous to linger, I’ll only have time to answer one question at each stop (though a small cup of tea might also be imbibed—I will be in a London, after all). Want to follow me on this mad dash? Check out the schedule below! And know this: some blogs will be giving away a prize package of a copy of A Darker Shade of Magic and a double-sided poster (signed by me!) that features the US and UK covers. You can also track me through twitter! Cover reveal: A DARKER SHADE OF MAGIC! I’m so very excited to finally share the cover and synopsis of my new fantasy series with Tor!!! There’s Grey London, dirty and boring, without any magic, ruled by a mad King George. Then there’s Red London, where life and magic are revered, and the Maresh Dynasty presides over a flourishing empire. White London, ruled by whoever has murdered their way to the throne—a place where people fight to control magic, and the magic fights back, draining the city to its very bones. And once upon a time, there was Black London…but no one speaks of that now. For a full behind-the-scenes look at the evolution of the cover, click HERE. A Darker Shade of Magic, News!!! In which I can finally announce NEW BOOKS!!!!!! I’ve been waiting to write this post for MONTHS. Like, 8 months, to be exact. I started writing ADSOM a little more than a year ago. It all started with the image of a young man walking through a wall and colliding with a girl. He was wounded and fleeing, with something very dangerous in his possession, and she was a pickpocket, and instantly stole the thing he was fleeing with. That was the seed, and a year later I’m so excited to announce that the book, now known as A DARKER SHADE OF MAGIC will be the first in a new fantasy series at Tor! I’ve been teasing this book online for AGES now–this is “pirates, thieves, and sadist kings”–and I’m so excited to finally shove this book out of the shadows and into the light! And even more exciting? A DARKER SHADE OF MAGIC is DONE! It went off to copyedits a week or so ago, and right now it’s scheduled to release early next year! Somewhere between January and March, we’re still nailing things down, but that is soon! –And coats with more than two sides. 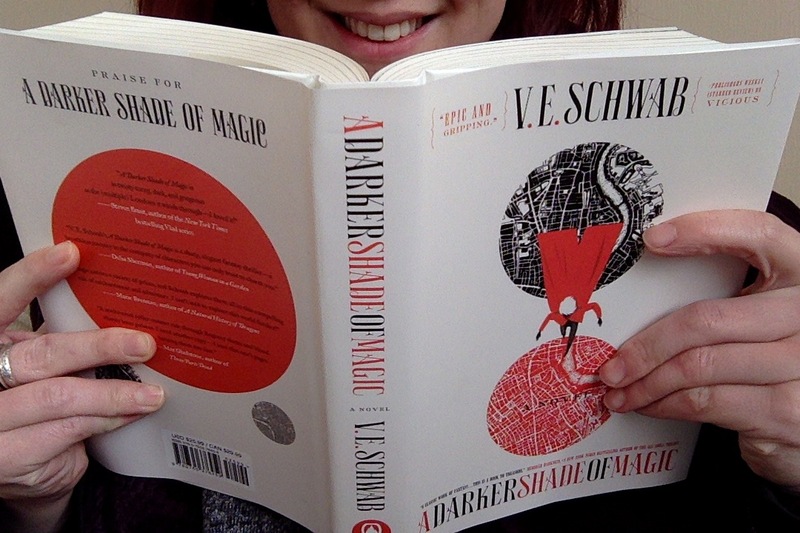 I thoughts it might be fun to take a short stroll through the life of ADSOM so far (through the eyes of Twitter). With the end of revisions in sight! And now I suppose I better start working on the sequel! !